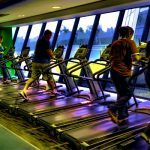 Many people lack extra space in their homes to accommodate a treadmill. 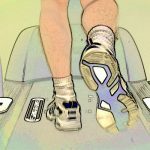 A compact or a small foldable treadmill solves this problem. Most compact treadmills can be folded vertically or horizontally. This creates the much needed floor space when they are not being used. You may slide them under the bed, place them in a closet or simply move them. 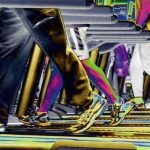 However, a folding design and lightweight features may make the treadmill less durable and less stable. Therefore, if you are looking for a treadmill for heavy-duty use, you should opt for a full sized model. The LifeSpan TR3000i Folding Treadmill is durable and safe with eight shock absorption points on the running deck. Therefore, it is a perfect small treadmill for people with joint problems. Loaded with features and comfort this treadmill is the best choice for people with all levels of fitness. This treadmill is fairly easy to assemble. You just need to attach the console and the handlebars. Rest is preassembled. Assembly will take less than an hour. It is a heavy machine weighing around 220 pounds and may need two or more persons to maneuver and unbox the package. Weight limit is 350 pounds. Running surface is 20 x 56 inches. The console has a magazine / book / tablet holder. This treadmill does not have a built-in fan. Folds and unfolds upwards easily without using too much force. It takes about 2 feet wide space when folded. It is compatible with an iPod and other music players. The running deck is about 8 inches off the ground. The incline is variable with 15 levels and it can go up to 30 degrees. Has small transport wheels which may not work well on a thick carpet. Max running speed is 12 mph with the 2.75 HP continuous-duty electric motor. This folding treadmill from Alpine is lightweight and easy to operate. It’s a low cost treadmill with no bells and whistles. It is a motorized treadmill with a 1.7 HP electric motor. It has a compact, portable and foldable design for easy mobility and storage. Assembly is super easy and can be done within 30 minutes. This small treadmill is extremely budget-friendly and not too pricey. The speed ranges from 3 – 7 km/h. No mph readings. It has a one-inch manual incline. The console has MP3 outlet and water bottle holders. The user weight limit is 240 pounds. The running area measures 15 x 43 inches. 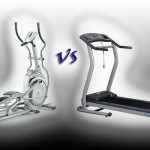 The Horizon Fitness Elite T7 Treadmill features feather light folding design, which is best if you want to save space. You can also vacuum underneath it. Another unique feature about this treadmill is that it has a maintenance free belt. Assembly is a bit difficult and may take 1 to 2 hours. The product weighs around 227 pounds. 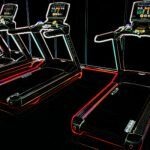 This treadmill does not need frequent lubrication as it has synthetic wax lubricant integrated in the belt. This treadmill has a space saving compact design with easy hydraulic fold technology. Just lift to lock it in place and when you release the latch, it lowers automatically. It has max speed of 12 mph and the auto incline range is 0 to 15%. The running area is 60 x 20 inches. User weight limit for this treadmill is 350 pounds. It has a silent 2.75 HP motor and the belt system is noiseless as it is well lubricated. 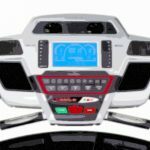 This treadmill has a built-in multi speed fan, speaker and a headphone socket. The high contrast console display is easy to read. The handles may be difficult to grasp for taller persons. The running deck is cushioned to reduce shock. It tracks your workout using Viafit wireless network. The LifeSpan TR200 Compact Treadmill is ready to use without any assembly. Simply take off the packaging, move it to where you want to use it and it is ready to use. While you are not using the treadmill, you can store it next to a wall or store it under a bed. The LifeSpan fold and store treadmills are compact, contemporary and convenient. These treadmills will fit in your living space no matter how small. At only 11 inches thin, you can store your treadmill under a bed, in a closet or behind a door. Folds flat and can be stored under the bed. Although wheels are attached at one end, you might need some help to slide it or place it in a closet, as it is heavy. It weighs around 119 pounds. The running surface is 17 x 48 inches. It has a 1.5 HP electric motor with a top speed of 6 miles per hour. User weight limit for this treadmill is 250 pounds. The max incline angle is about 4 degrees with three levels. You can change incline levels from the console. When folded down, the height of this treadmill is about 13 inches from the ground. Speakers and headphone jacks are present in the console. The Yowza Fitness Lido treadmill comes with the LIDO transformer folding technology – the perfect fit for any space. It is shipped from the factory 100% assembled. This is a compact treadmill with a foldable design. The width after folding is about 14 inches. Make sure to ‘click’ lock after folding so that it doesn’t open accidently. The incline is manually adjustable up to two levels. This treadmill comes fully assembled. You just need to ‘unfold’ the handlebars and plug it in. You can start using the treadmill within 10 minutes after opening the package. The electric motor has a rating of 2.5 HP with a top speed of 8.8 mph that is good for jogging and light running. The running area is around 17 x 51 inches. Weight limit for this unit is 250 pounds. The deck is lightly cushioned; therefore, it is not suitable for persons with joint problems. The length of the handlebars is around 10 inches. This treadmill weighs around 200 pounds and has two small wheels for transport. This treadmill lacks a tablet / magazine holder. The 80i Fold Flat treadmill by 3G Cardio has a great dual folding design which reduces its size considerably to make it compact for easy storage and portability. This treadmill does not require any tools or assembly. It comes fully assembled out of the box. Just unfold and start your workout. It can be folded flat (downwards) to a width of just 9.75 inches and can be pushed under the bed or any other furniture for storage provided there is sufficient clearance. It can also be folded vertically. 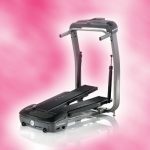 It features a 15 % incline and a 3.0 HP electric motor, which is suitable for heavy runners. The speed ranges from 0.6 to 11 mph. The running area is 18.5 x 58 inches. The console has a small monochrome display with built-in speakers and audio input jack. user weight limit is 325 pounds. The deck height is about 6 inches off the ground.